Go to http://purepadre.wordpress.com for what you want to see. Please go to http://purepadre.wordpress.com to see the new home of Pure Padre. The other blog was too hard to manage with all the frustrating technical problems. 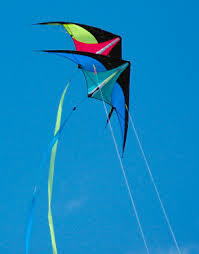 Today was the kite festival on the flats at South Padre Island. It was very busy today with so many people everywhere. It is wonderful to see so many people out and about in this fantastic weather. Tomorrow will bring more of the same and I will post pictures of the best of the best for you. Followers continue to increase for the best inside scoop on this blog and on www.purepadre.blogspot.com. I am so blessed. Can you believe that it was only a little over a month ago when everyone was singing glad tidings? Everyone was in good spirits and there were spirits everywhere? Beautiful Santa’s helpers were only too glad to help. Children excitedly waited for the annual visit by dear Old Claus and told him their deepest desires. and was the most popular guy in town. These adorable reindeer were decorated and hung on the Christmas tree with care. I have found that the people here in this small town have the same giving and caring spirit year round. Today was 76 degrees, warm and sunny and these memories of Christmas are long gone in some people. Toys have broken and gifts returned but I will never forget what a wonderful season it was. If you want FRESHLY PICKED grapefruit, please call the Martinez family at 956-233-9660 or 210-723-3002 or send an email to baviewfive@sbcglobal.net for some sweet, freshly-picked Rio Red grapefruit from their farm at 104 Chachalaca Dr. in Bayview, Tx. The grapefruit will be in season until June ’09. They can deliver 5 bags or more in Port Isabel, SPI, Los Fresnos, or Bayview. $5.00 – 18 lb. bag or $6.00 – bucket or pick your own. This series I am doing for the South Padre Network has taken me from one end of the valley to the other to see the “best of the best” and record it on film. You can imagine how I felt when I typed in “TodoPadre” on a site and it said, “TodoPadre has been removed.” My heart sunk because of all the work I have put into this series. To think of all the work it represented and all the great photos I took, lost? Also, the students in my Spanish classes saw the triple meaning of “Todo Padre” and marveled at the beauty of the name once analyzed, to think I had lost that “spot” with that name on the Internet really saddened me. It darkened my day but I figured that since I had been trying to run with the wolves like JW and some other technical people, I figured I must have done it myself when trying to export and import blogs. I am horrible at beating myself up mercilessly in my head so I chalked it off to technical ignorance and wrote to some people. Now imagine my relief and joy to see it back http://todopadre23.blogspot.com/ Somehow, somebody resurrected it from the dead for me. Here are just a few of the photos that represent some of the areas interesting spots and people. Hearing the rush of the water is the best thing about being near to the Anzalduas Dam. Everyone is blessed to have so much water around to play in. This majestic building is the newest beauty on South Padre Island, the Sapphire, a true gem. As I traveled the valley, this picture and the story of these men who devoted their lives to spreading Catholicism kept resurfacing. It was neat to be able to link everything together: my path, their path, what they established, etc. This earthen oven is still one of the coolest things in my book. This part of the world is beautiful, no matter how many people speak negatively and constantly put it and its people down. I see true beauty in it and the history behind it. Maybe we all should look at this as not a pile of bricks but wonder who the people were who used it and what their lives were like. There is so much more to the world than its surface and we have only scratched it. You are welcome to join me on my quest for the best of the best on Todopadre23.blogspot.com and join in discovering the beauty of the area. We will continue to feature the neatest and most interesting things around.